A US$700m landmark finance deal struck by Etihad Airways Partners, EAP, to fund expansion, has been recognised by the prestigious market intelligence organisation International Financing Review, IFR, with a leading global award. The five-year deal was judged the Emerging Europe Middle East and Africa Bond of the Year. The award will be presented at a gala dinner in London on 27th January. In September, Etihad Airways embarked on an international roadshow with lead advisor Goldman Sachs to raise equity from the market for the airline, its subsidiary Etihad Airport Services and five of its strategic airline partners, airberlin, Air Serbia, Air Seychelles, Alitalia and Jet Airways, within Etihad Airways Partners. Seen as the first joint financing deal of its kind in the airline industry, it’s the second time within weeks that the ground-breaking initiative has been recognised. 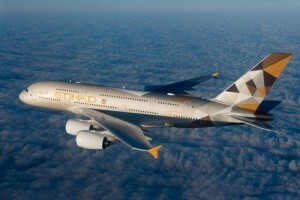 Etihad Airways Partners was presented with the Middle East Debt Financing Deal of the Year Award in London by UK-based publication, Global Transport Finance. Considered the most prestigious event in the global capital markets calendar, more than 1,000 of the world’s most senior and successful investment banking professionals will gather in London next month to celebrate capital markets excellence at the IFA annual awards.